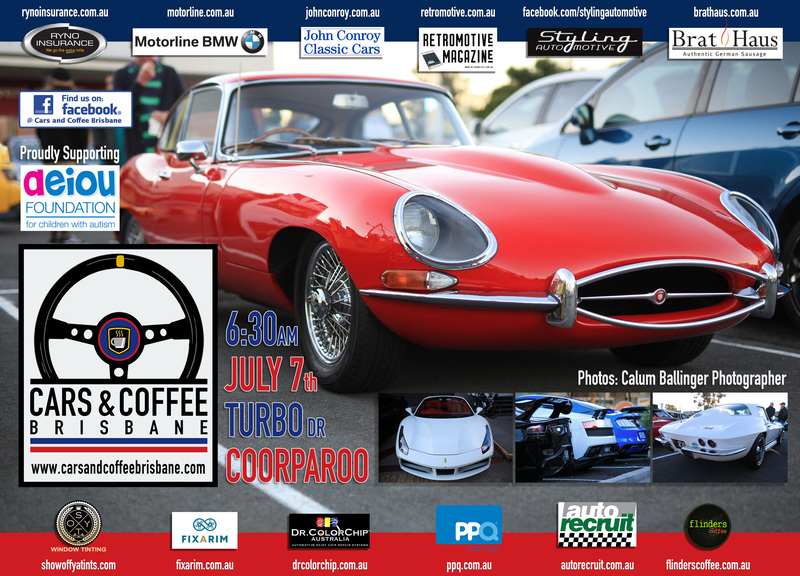 The next Cars & Coffee Brisbane is on Saturday the 7th of July at Coorparoo. We would like to thank our ongoing sponsors Fixarim, AUTOrecruit, John Conroy Classic Cars, Dr ColorChip Australia, The Bratmobile, Styling Automotive, Show off ya Tints, Ryno Insurance Services Pty Ltd, Flinders Coffee, PPQ Personalised Plates Queensland & Motorline BMW. We would also like to welcome Retromotive.com.au with their quality new magazine offering. Sadly we say goodbye to Car Care Products who have been a C&C supporter since the very beginning.